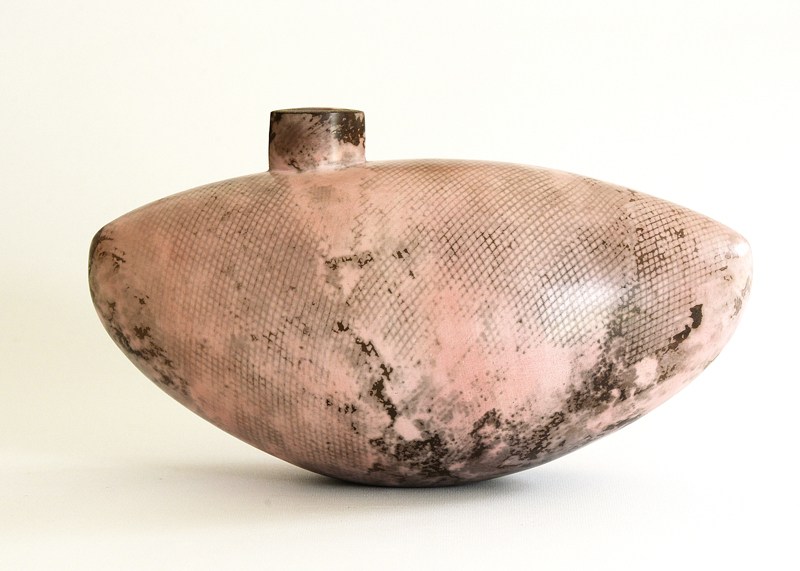 Working with clay has been the central force for Alison Kay over the past 35 years of her career. 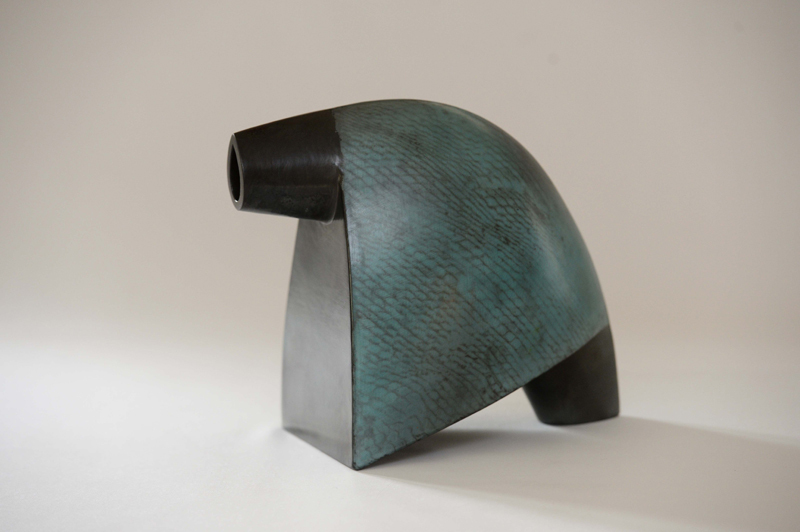 Having studied at Dun Laoghaire College of Art and Design, Dublin from 1971-1974, she subsequently taught at the renamed Dun Laoghaire Institute of Art and Design and Technology from 1990-2000 and now works from her studio in Shankill, Co. Dublin. 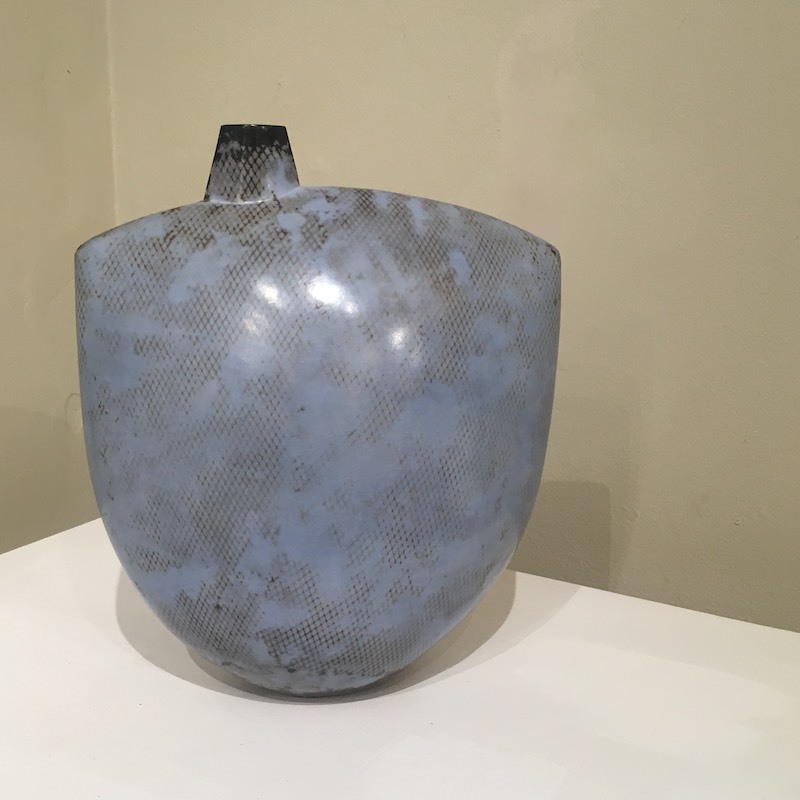 Her current sculptural work is coil and slab built using white clay, then gradually pared back and attentively worked to achieve a sense of volume and tautness. 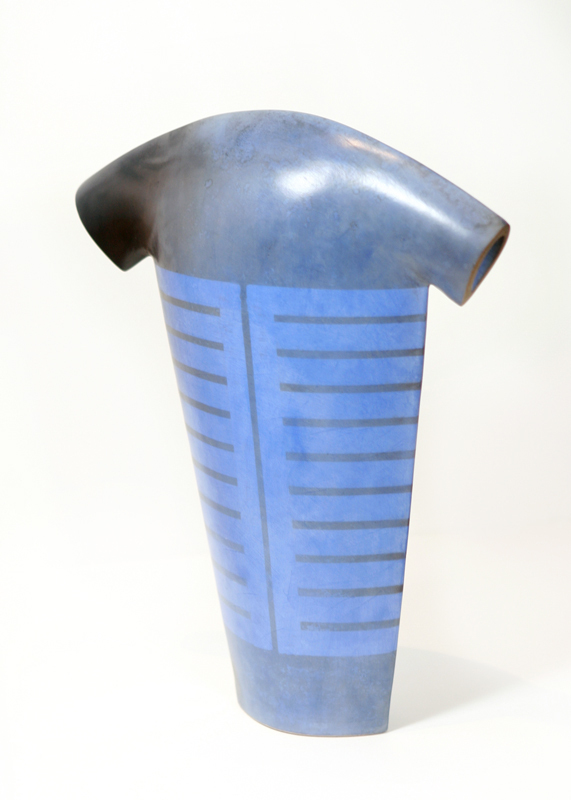 Layers of coloured Terra Sigillata (a fine liquid clay that resembles a glaze) are applied and then buffed to a shine. 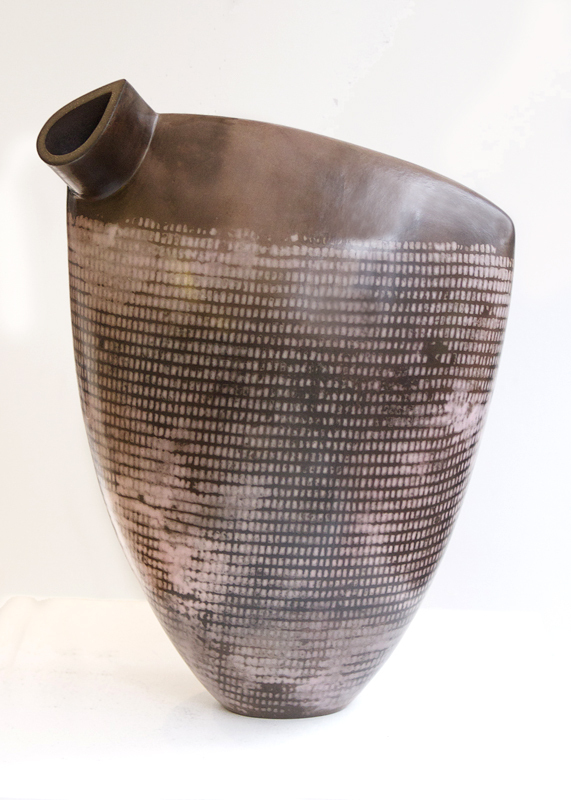 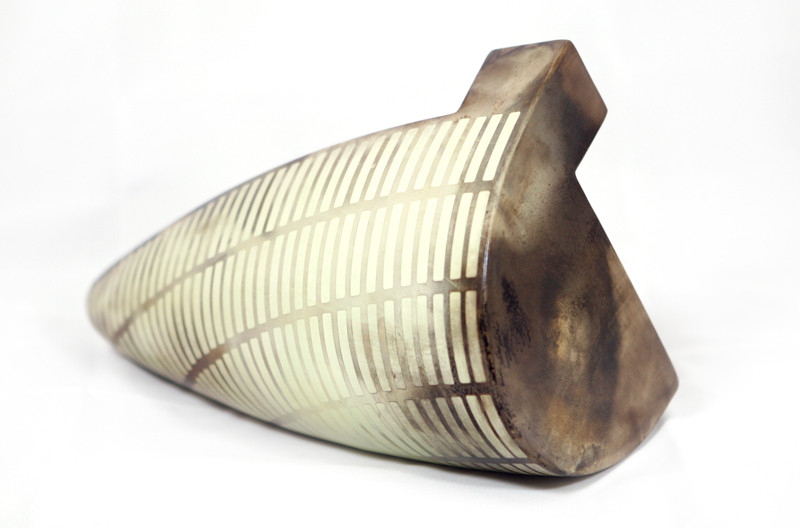 After the firing process, patterns are applied to the surface and then the piece is smoke fired. 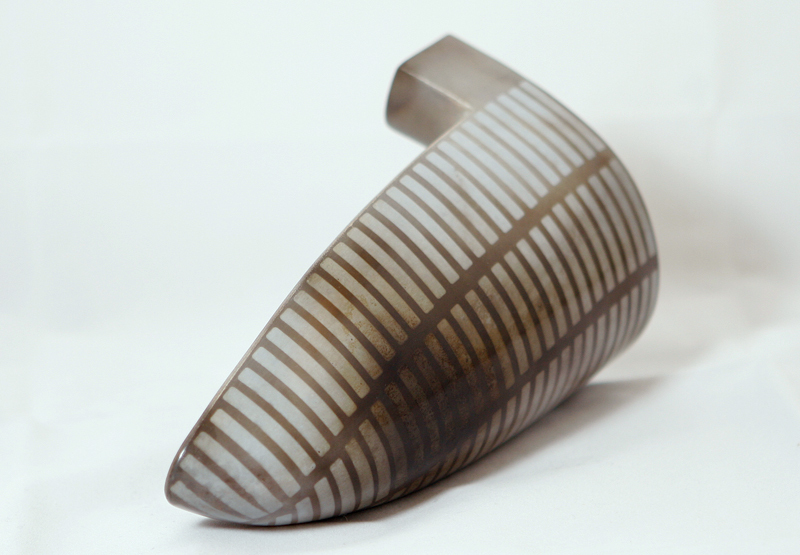 Through this process, the aim is to create elegant forms that are contemporary while still showing references to the past. 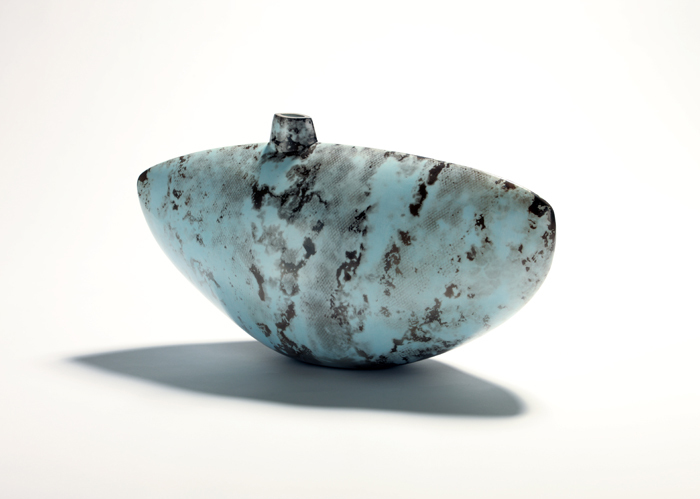 Alison Kay’s work is in several public collections including the National Museum of Ireland, The Office of Public Works, Ireland and the Department of Foreign Affairs, Ireland – Foreign Embassy’s Collection. 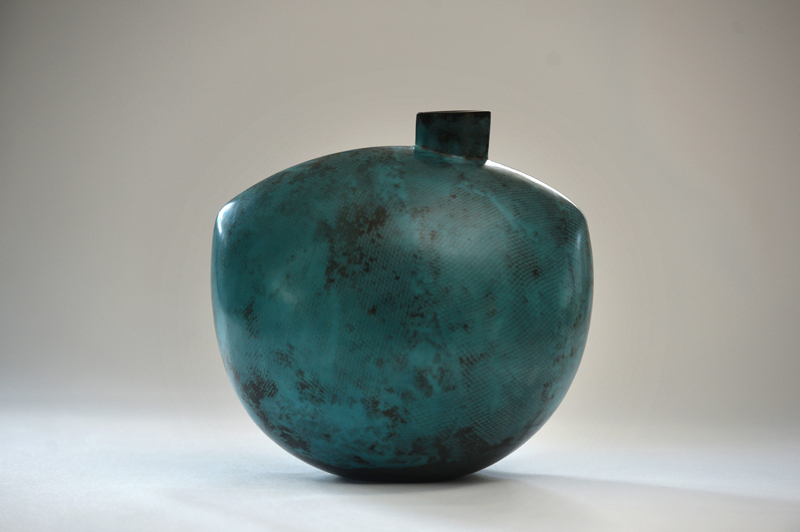 She has also exhibited at the Irish Pavilion, Shanghai in 2011.